ISLAMABAD: Russia, which controls and manages huge gas reserves in energy-rich Iran, plans to export gas to Pakistan and India by laying an offshore pipeline, ignoring pressure from the United States that has fiercely opposed the building of Iran-Pakistan (IP) gas pipeline for years. 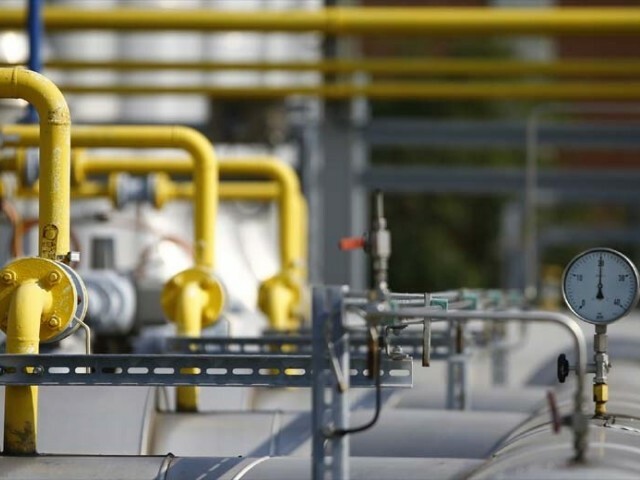 Moscow is looking to meet growing gas needs of Pakistan and India as an alternative because it fears it may lose energy markets in Europe following a long tussle with the United States and the European Union over the annexation of Ukrainian region of Crimea. “Russia holds huge gas deposits in Iran and has offered Pakistan and India gas exports by laying an offshore pipeline that will pass through Gwadar Port,” a senior government official said while talking to The Express Tribune. “Russia is even ready to finance feasibility study on viability of the offshore pipeline,” the official said, adding the plan was being discussed with Russian authorities. It was even taken up with a Russian team that visited Pakistan recently. The official pointed out that the US knew about the gas reserves held by Russia in Iran, which was the reason why Washington opposed the IP gas pipeline. The IP project will open an avenue for Russia to lay a parallel pipeline for gas export to Pakistan and India. The official revealed that India was also interested in purchasing gas from Russia through the offshore pipeline from Iran via Gwadar, believing it was a safe way for energy import. Earlier, India was part of the IP gas pipeline, but after entering into a civil nuclear deal with the US, it pulled out apparently on the insistence of Washington, which has tense ties with both Tehran and Moscow. Now, India has expressed its keenness in preliminary discussions on the offshore pipeline, but it is believed that the US will again heap pressure to force Delhi to stay away from its rivals. Russia has been a big gas exporter to EU countries and Turkey since long and despite US anger the European bloc has continued to make imports to meet its domestic needs. Russia receives gas from Turkmenistan and then exports it to EU states. Later, it has got and managed gas deposits in Iran as well and is looking to gain foothold in the markets of Pakistan and India. Russian gas exports touched an all-time high in 2017. According to its energy giant Gazprom, gas flows to Europe and Turkey, excluding ex-Soviet states, hit a new daily record at 621.8 million cubic metres. Annual exports touched 179.3 billion cubic metres (bcm) in 2016, a significant jump from the previous high of 161.5 bcm in 2013 and well above the 2015 total of 158.6 bcm. India has already signed a memorandum of understanding (MoU) with Russia for gas import. Separately, Pakistan and Russia have recently inked an MoU for gas supply under an inter-governmental agreement. According to a Gazprom statement, the MoU with India reflects the interest of both parties in jointly identifying the route for the gas pipeline in addition to opportunities for cooperation in other areas. Russia has conveyed to Pakistan that it wants to lay the offshore pipeline through Gwadar Port to India for gas transmission and has also offered Pakistan to join the project. Pakistan and Russia have agreed to award contract for building a liquefied natural gas (LNG) pipeline between Karachi and Lahore to a Russian company. The Economic Coordination Committee has already given the go-ahead for kicking off negotiations on gas import from Russia. Published in The Express Tribune, October 30th, 2017.